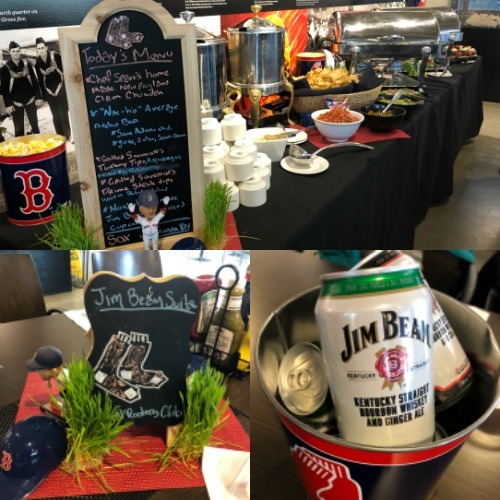 This past Sunday, my company had access to the Red Sox's new Jim Beam Dugout Suite at Fenway Park. 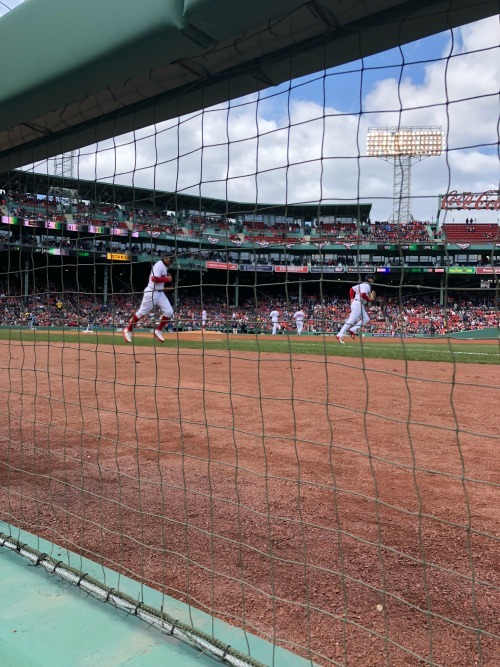 #workperks We were the 3rd group to experience this new luxury suite that is "dug out" right next to the Red Sox dugout and the photographers section. 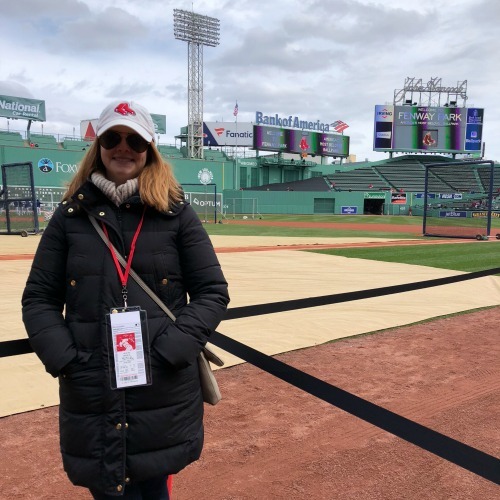 The view on the field was unlike anything I have ever experienced at a sporting event! 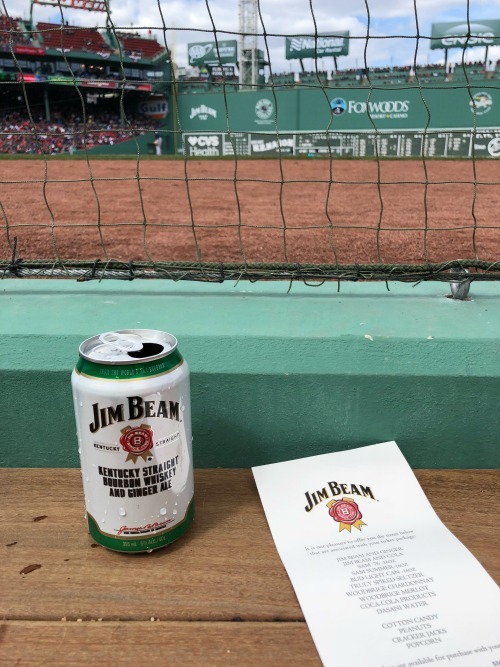 The full Jim Beam Dugout Suite experience starts with on-field access to watch batting practice and continues with a tour of Fenway Park. 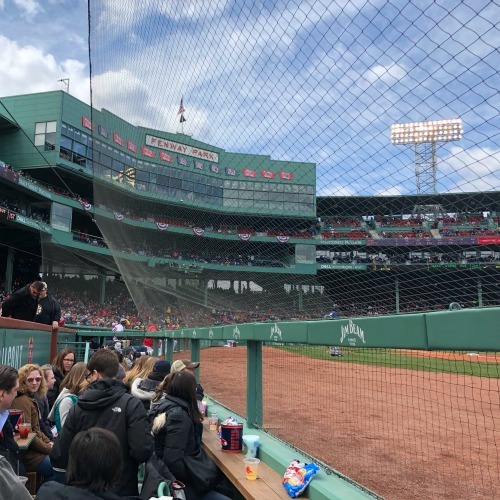 Our guides were very friendly and knowledgeable, taking us through the history of the park while visiting the Green Monster seats and up to the new Samuel Adams deck. 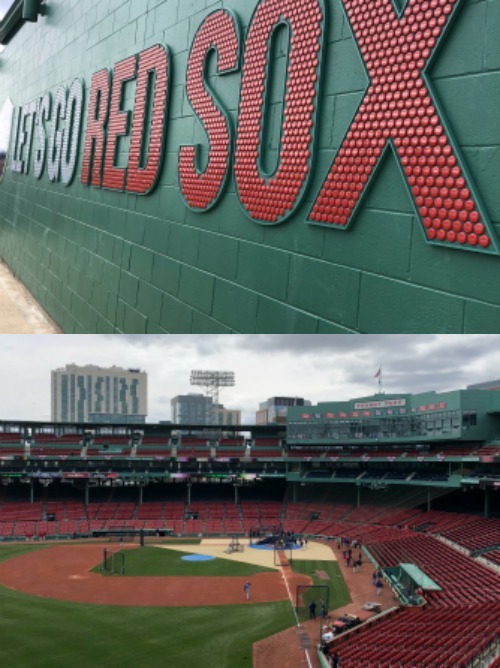 Included in the suite experience is lunch + drinks at the Royal Rooters Club then we were escorted down to the dugout for the first pitch. The suite is outfitted with seats (capacity is 25 people) looking right on to the field with unique access + view of the players. It's all you can drink with beer, wine, + Jim Beam canned drinks (which as a non-whiskey drinker, I actually really liked). Classic baseball snacks - Cracker Jacks, peanuts, + cotton candy - are all you can eat as well! 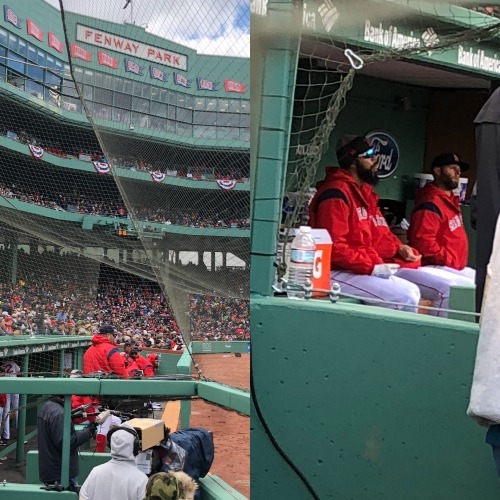 We got some great views of the players in their dugout - hi, Pedroia and Price! At one point the first base coaches for both teams came over and were talking to us! 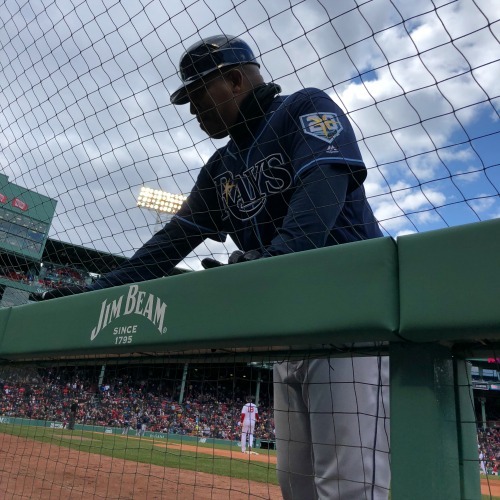 Here is the Rays coach. 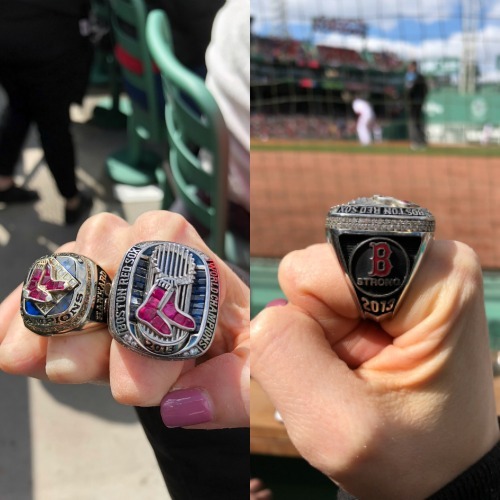 One of our guides let us try on his World Series rings - wow, wow! 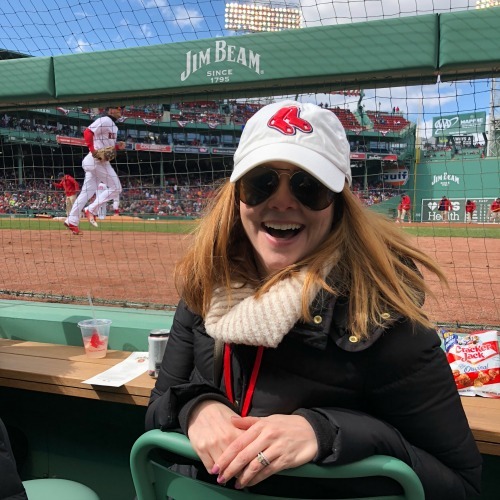 Thanks, Red Sox, for hosting us for an amazing experience checking out the new Jim Beam Dugout Suite + go Sox! PS: See more photos here.